Display,Spor Stadium LED Display and so on. 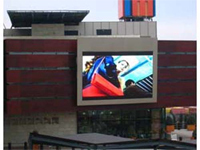 LED Display and LED ScreenWe are China LED Display Screen manufacturer, We provide LED Display, LED Screen, to all over the world. Add: 7th JunXing Industrial Road,LingWu Industrial Park,HuanGuan Road,Guanlan Town,Baoan District, Shenzhen, China. 2. High Contrast and Frequency: 4000:1 and 5000HZ, which is a very high level to ensure a vivid image of our LED screen system. 3. Good quality LED chip: Supplied by Nichia, Cotco cree,Toyota,Silan.Optec,& other high strictly selected LED chip to ensure the long life time and high brightness of our LED screen system. 4. Very high quality and Clear vivid image quality: even in direct, full-on sunlight to ensure you attracts more audience to get short ROI of your LED screen's investment. 5. 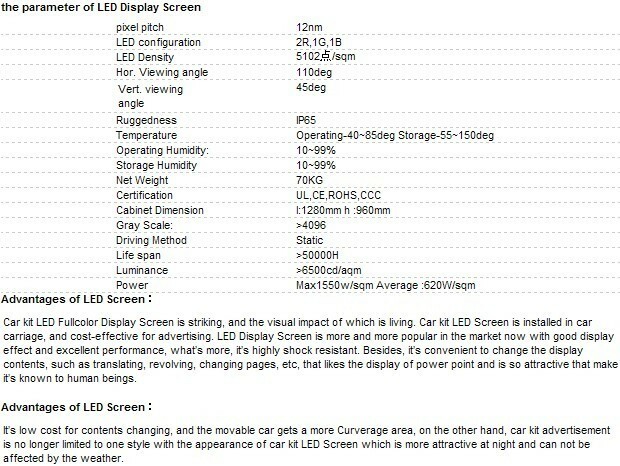 High Brightness of LED Display: 7500-nit brightness(for outdoor full color)(more than 2000 nits brightness for indoor full color) capacity throughout product lifetime of the LED display. 6. Easy Installation & Using : easy & simple installation interface and user friendly software to ensure the user friendly interface of the LED screen system. 7. Convenient Servicing: Front or rear led display cabinet access make the maintains work very convenient and low cost to help you concentrate more time and energy on your main marketing promotion business.